All the images were colored with Copic markers and die cut. I had colored and cut all the images so I just thought it would be fun to put most of them in one card. The more the merrier, right? The background was blended and splattered with droplets of water to create that cool effect. I finished it off with some Wink of Stella for some a glittery effect. I left the card black without a sentiment so I could use it for birthdays or any congratulatory occasion later! Thanks for stopping by today! Hope you love this dynamic duo as much as we do! Oh my goodness , how cute ! Oh my they are adorable !!!! ha so fun...love the chick with the guitar! These are adorable! Very fun set! The little animals are just adorable! 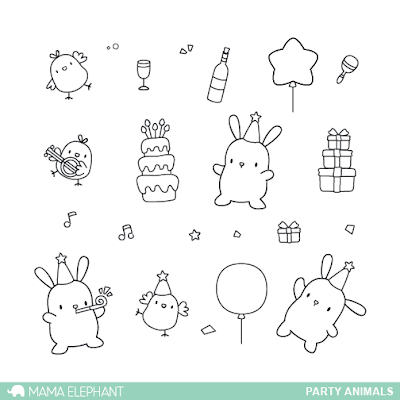 love those super adorables party animals! How cute are these party animals! Adorable! 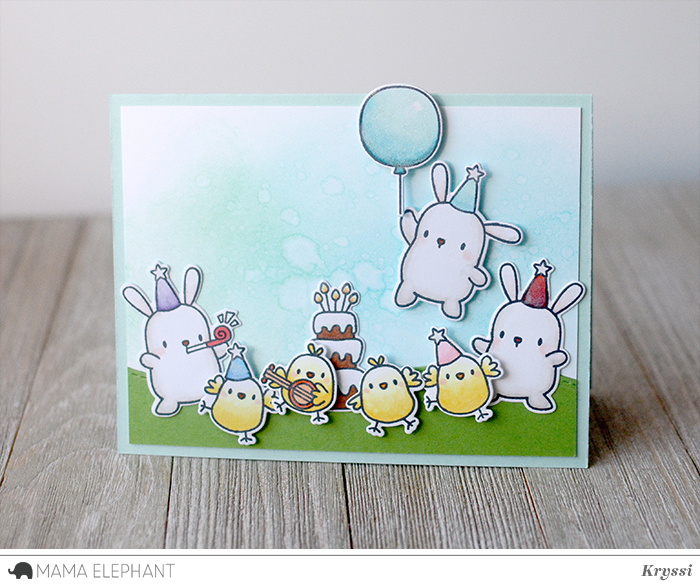 Such a cute, fun, and cheerful card!! How fun! Great spin off the first set. Love the little chick with the banjo!